Cinderella stars arrive at MSR studios to record the Rodgers and Hammerstein musical’s original Broadway cast album. 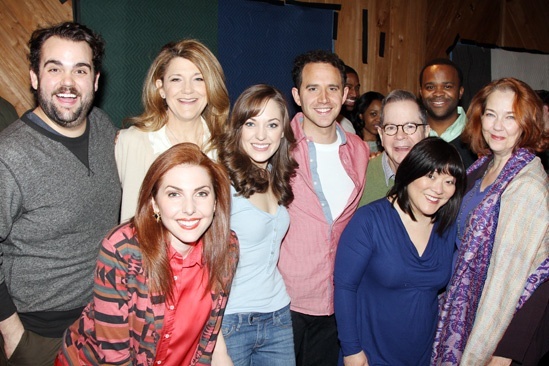 From left: Greg Hildreth, Victoria Clark, Marla Mindelle, Laura Osnes, Santino Fontana, Peter Bartlett, Phumzile Sojola, Ann Harada and Harriet Harris. The cast of Cinderella in the recording studio on March 18, 2013.